The governorship candidate of the All Progressives Grand Alliance (APGA), Ifeanyi Ararume has dragged the Peoples Democratic Party (PDP) and its candidate in the just concluded governorship election in Imo State, Emeka Ihedioha to the Elections Petitions Tribunal. 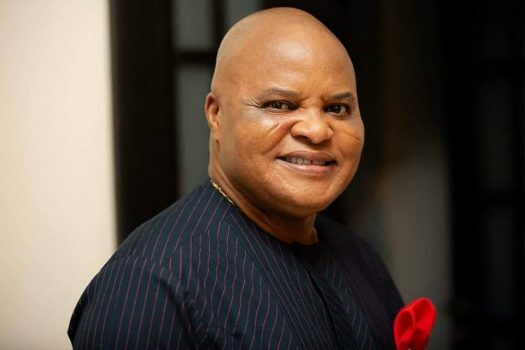 In the petition, Ararume averred that all the scores and purported votes from Aboh Mbaise, Ahiazu Mbaise, Ehime-Mbano and other 17 local government areas of the state were void and unlawful votes. The petitioner claimed that the electoral officers sourced by the Independent National Electoral Commission (INEC) from the University of Agriculture, Umudike were ‘inexplicably’ replaced with a different set of untrained electoral officers and ad-hoc staff just hours to the polls. He said the new, untrained electoral officers and ad-hoc staff, most of whom he alleged, hail from Mbaise Local Government Area were then appointed and deployed without subscribing to the oath of neutrality. The APGA candidate also averred that there was massive hijacking and diversion of ballot papers and other electoral material to places other than polling units where several booklets of ballot papers were massively thumb-printed by agents of the PDP in favour of Ihedioha. He said that the multiple thumb-printed ballot papers for Ihedioha were subsequently stuffed into the ballot boxes and recorded in favour of the PDP and its candidate in the stated local government areas. Ararume further claimed that out of the 27 local government areas in the state, Ihedioha, the purported winner of the election scored 25 percent of total votes cast in only 12 local government areas, thereby rendering his return invalid.